The Dodge Viper has become my favorite car, with the Corvette a very close second. 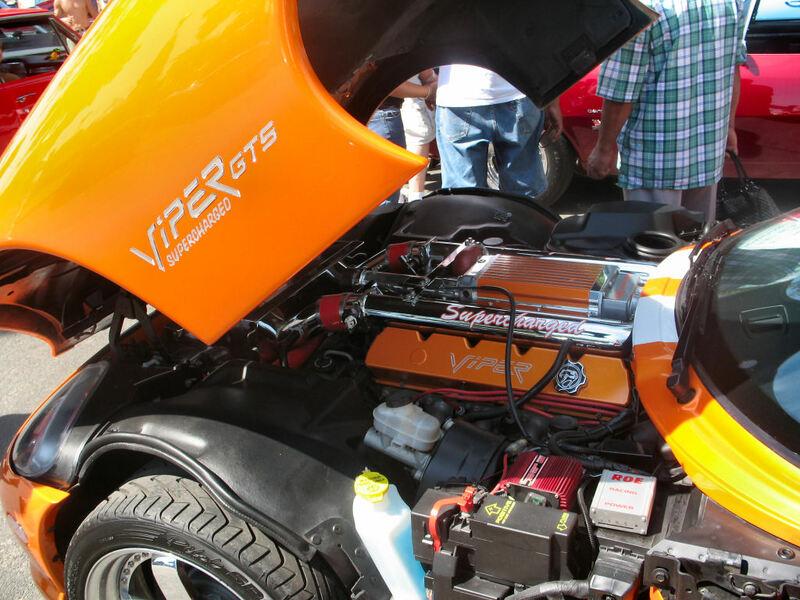 This custom painted orange Viper with the Supercharged package was outstanding. This photo was taken during the 2006 Car Craft Summer Nationals Car Show at the Minnesota State Fair Grounds. You never see those down here. Which is odd, given the love for exotic cars in Florida and of course, no rusting and year-round driving conditions. Do you see them onthe streets much up there? I see one or two vipers a year here in Minnesota. As you know Amy, you'll never see that type of vehicle in the winter months, so I am luck to see any Vipers or any car over of value like this during the warmer times of the year. So it is still a rare sighting in these parts. ....the last Viper I saw, I posted a photo of it on my April 28th daily photo. Have a look in the archives.